Car Insurance. Who Needs It? You do. We all do! In fact, it is required by all drivers residing in the United States to have some form of car insurance. According to the financial dictionary, car insurance is defined as an insurance policy providing coverage for damage caused to one's vehicle, the damage the car itself causes, and/or its theft. How does it work exactly? Well, one pays premiums to the car insurance company in exchange for this coverage. In other words, imagine that new, bright and freshly painted sports car you've dreamt about your entire life, in the blink of an eye sideswiped by a novice and overzealous new driver. Not only would car insurance help protect you from personal injuries, liabilities, and of course those unwarranted automobile damages, but having the proper car insurance can also save you thousands of dollars. So, Why Online Car Insurance? Choosing the most appropriate and affordable automobile insurance can be quite overwhelming to say the least. Many factors such as, age, location, and the type of vehicle driven, can come into play in the deciding factor of an actual insurance quote. It is fact that the majority of people do not shop around and usually go for what they know, or have heard of to be best, not fully understanding that what is best for one, might not necessarily be best for you. When you choose online car insurance, you have the ability to search a variety of car insurance companies and compare them, getting an idea of what best suits your own personal needs. It is always recommended that you take the time out to carefully plan your decision before you execute. With choosing online car insurance, you'll receive free quotes in minutes. We give you options, as our friendly agents are here to help you select the best premium for you. Whether you have questions on your current auto policy, looking for new quotes, or simply new to the car insurance game, we can assist you. Find out whether you're paying too much and what kinds of savings we can offer without no obligation to you. 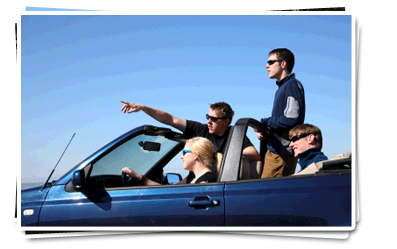 Buying car insurance online is convenient, safe and secure. It has never been so easy. How Do I know Which Type Of Insurance Coverage To Choose? Car insurance lingo can be quite tricky for anyone, regardless if you are a first time buyer or simply shopping around to compare. In most cases, drivers tend to go for the 'full' auto insurance coverage plan, however have no clue what it all entails. When you choose to shop online with us, we will educate you on the many different coverage plans out there and what they actually protect. The most common types of car insurance coverage include: Liability, Property Damage Liability, Comprehensive and Collision, & Uninsured and Underinsured Motorist.